endfile.com is an ongoing art project and fully functioning online business run by Kate Pemberton, providing a range of products and gifts that the public can purchase. A physical shop of endfile.com was realized in a group show as part of the ISP project at Vivid, Birmingham, and a second version created and installed in the Selfridges building, designed by Future Systems, during the New Generation Arts festival, Birmingham, 2007. During such projects, the endfile shop is staffed and open for business for any members of the public wishing to purchase items. 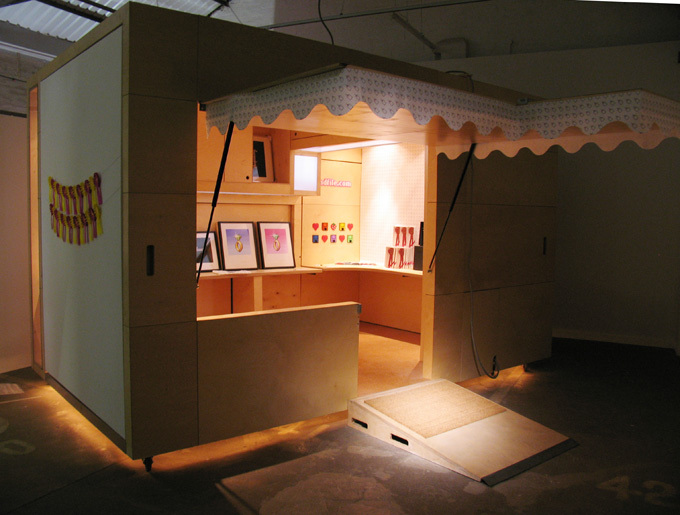 The endfile shop is as at home in a shopping centre or street market as in an art gallery or international art fair.